I am a very big fan of Snag Stand, a small pop-up-style shop at the corner of Melbourne Central’s “cool side” on La Trobe and Swanston. They are slowly expanding their creatively named ‘haute’ dogs and all of them sound promising. They have a buzzer style system so you can nick off across the road or do some short distance shopping, and return when your pocket starts having a really good time, to pick up your meal without it getting cold. 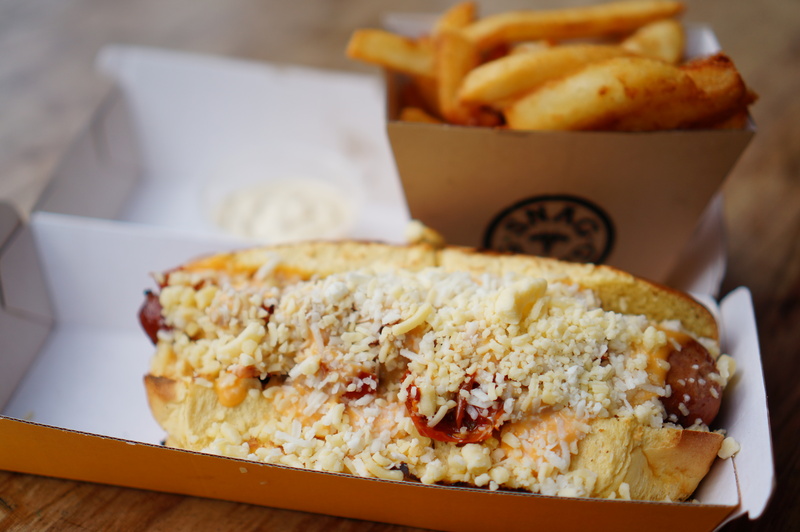 My all time favourite is definitely the Spicy Cheese Kransky (all natural, wood smoked) freshly grilled w/ semi sun-dried tomatoes, sriracha mayo & cheddar cheese on a toasted brioche roll ($9.9). The cheesy sausage is generously sized and will spurt hot cheese sauce when you bite into it. Add onto that the toppings avalanching off the roll, you are in for one cheesy treat. Did I also mention the chips, 100% russet Tasmanian potatoes cooked in cholesterol free oil and seasoned w/ natural sea salt (reg $3.9) are insanely amazing? 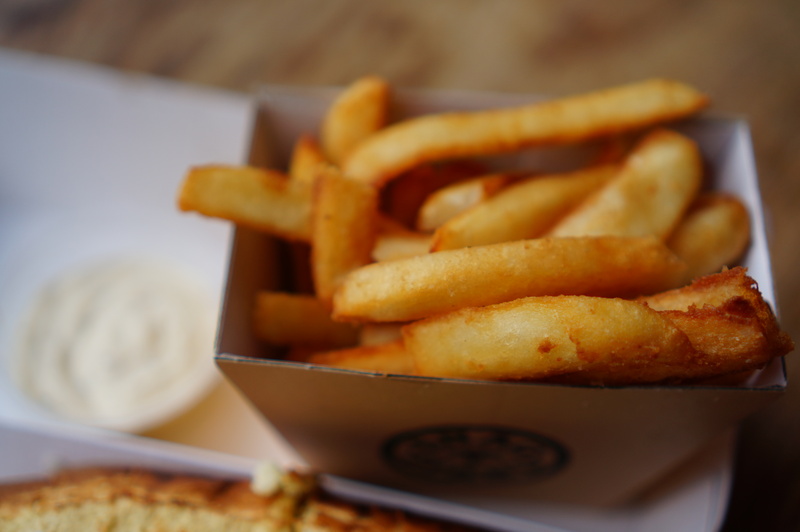 They are on par with Schnitz – golden crunchy fries with a fluffy inside. Grab the Truffle Aioli Dipping Sauce ($1.0) and you’re in for a damn good, quick meal. TL; DR Love this place. Go for the hot dogs, stay for the chips.